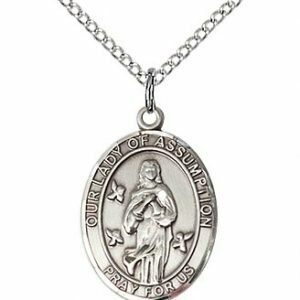 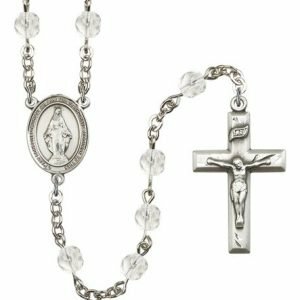 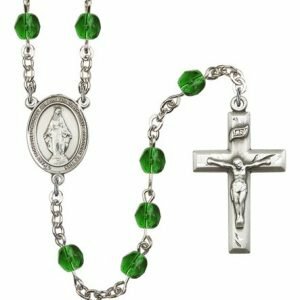 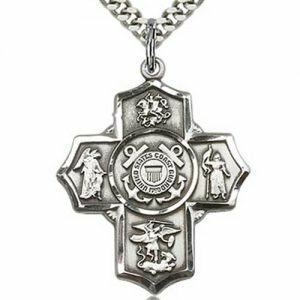 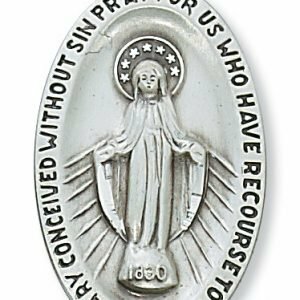 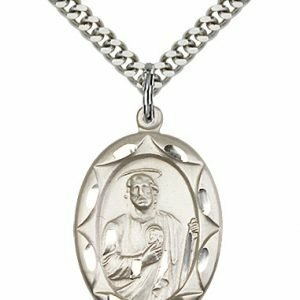 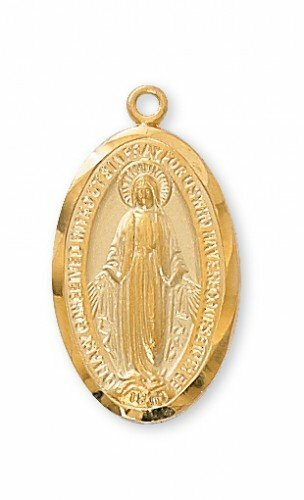 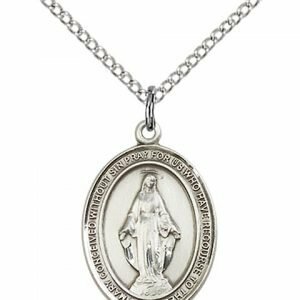 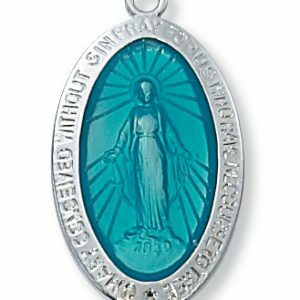 This miraculous medal is gold plated over sterling silver. 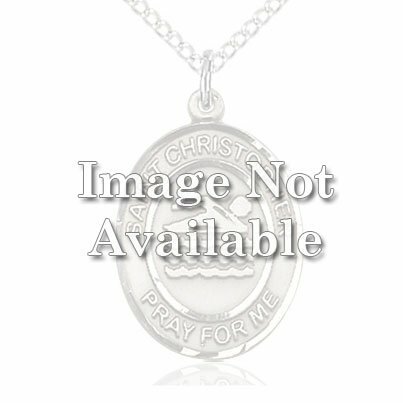 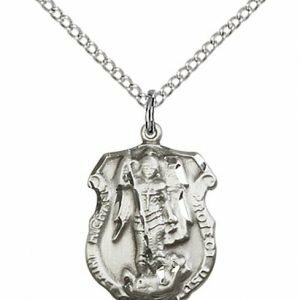 The pendant on the necklace measures 1″ long and comes iwth an 18″ gold plated chain. 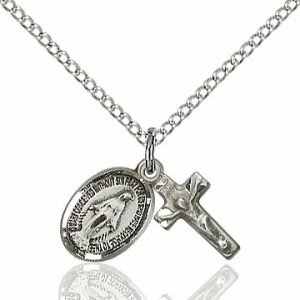 Comes with a deluxe gift box.